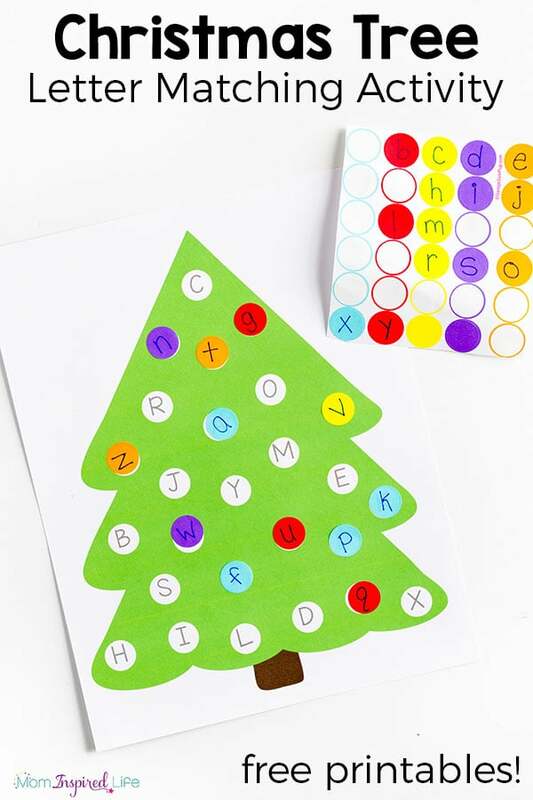 This Christmas tree letter matching activity is a fun way for kids to learn the alphabet or practice lowercase and uppercase letter matching this Christmas! 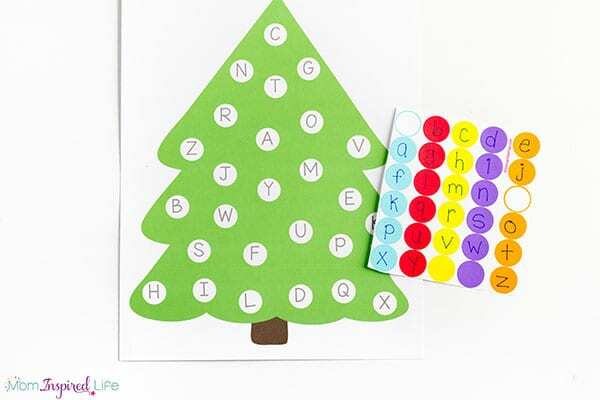 One of our most popular posts is this apple tree letter matching activity. Since doing it years ago, I have done several other sticker letter/number matching activities and they all have been hits too. Somehow I have not made a Christmas version! I am not sure how this is even possible. I knew I had to do something to change that. 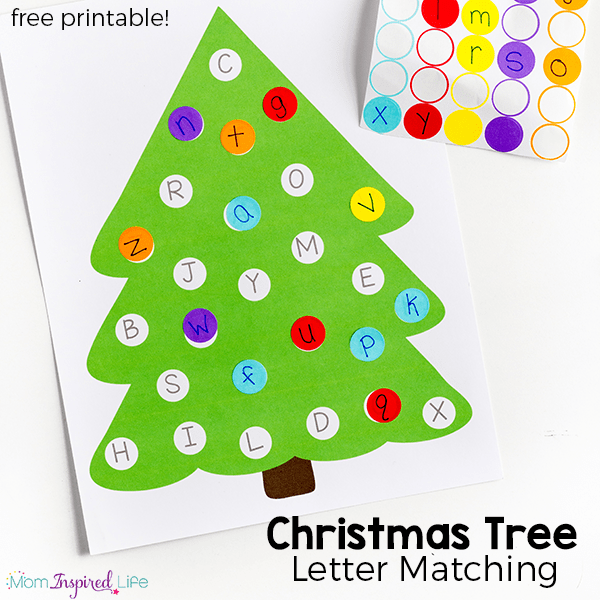 That’s why I made this cute Christmas tree letter matching printable for all of you. 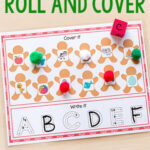 This activity requires very few supplies and is definitely easy to set up. Print out the tree that you would like to use. Make sure you just print the pages you want to use, so you can save on ink. Write letters on the dot stickers. I use a very fine tip permanent marker or a ballpoint pen so that they ink does not smear. You match uppercase to uppercase, lowercase to lowercase or uppercase to lowercase. *See my tips below for more info. 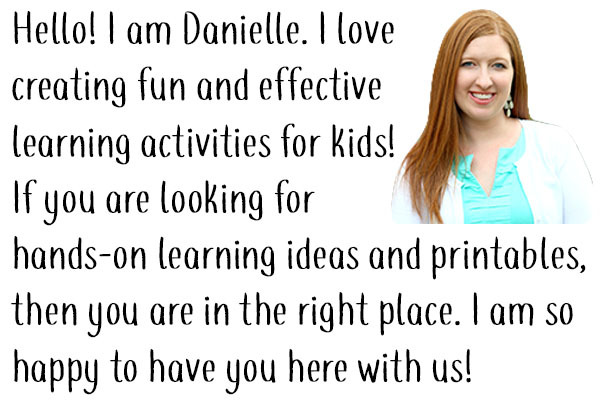 Here are some tips for doing this activity with preschoolers. 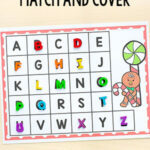 If you are teaching younger children or children who don’t know many letters, I would recommend starting with the uppercase letters and just have them match uppercase letters to their uppercase match. 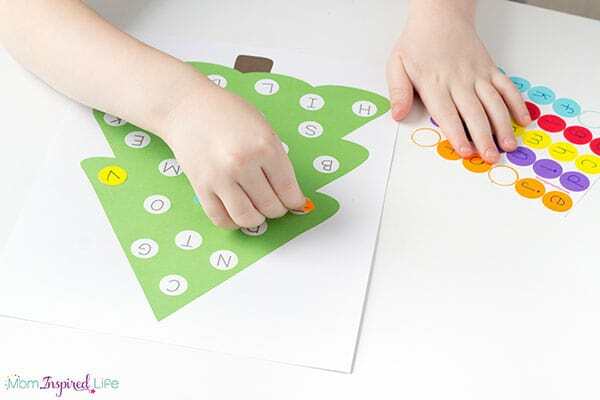 Uppercase letters are often easier to distinguish from each other so doing this will ensure that your kids don’t end up frustrated with the activity. This is how I started out with my son when we did this years ago. He was only 3 at the time and this worked well for him. My daughter is at the same point now. 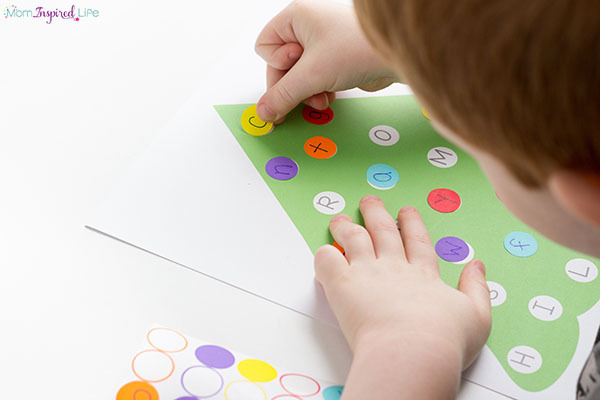 For older or more advanced children, you can move to lowercase to lowercase letter matching or uppercase to lowercase letter matching. 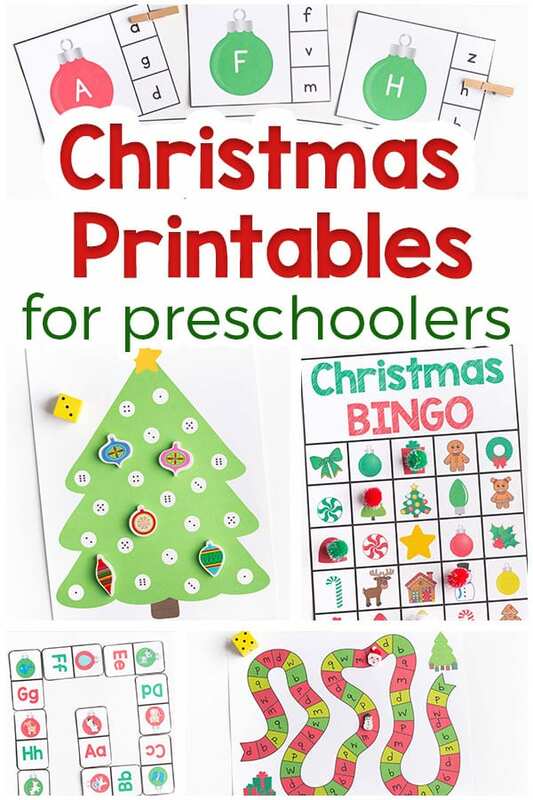 A fun aspect of an activity like this is that the end result is a neat Christmas craft that they can hang on the wall or refrigerator at home. 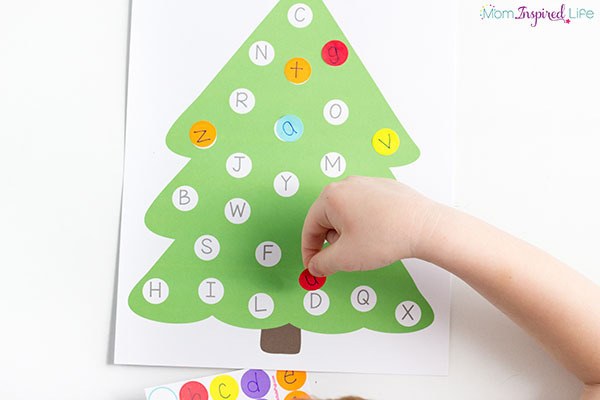 And then they can use the Christmas tree to continue practicing letter recognition! 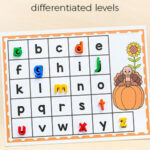 We love dot sticker matching activities, so you are sure to see a few more in the coming months! Make sure you check out my Christmas Printable Bundle! It is ON SALE for a limited time at 50% off. 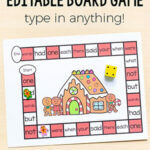 Get over 100 pages of Christmas printable activities and games for $5!! 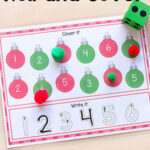 Here are some more Christmas activities I think you will enjoy!